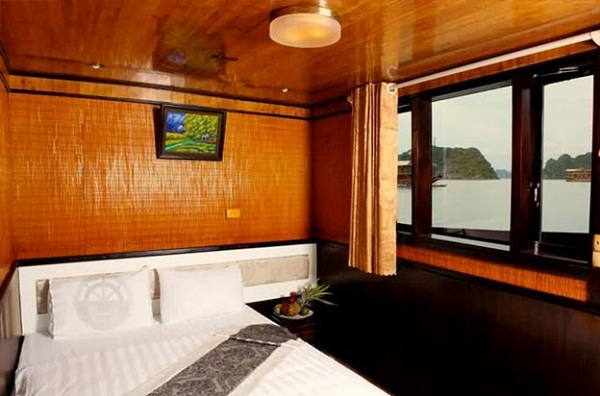 Also, this is one of the smallest cruises operating in Halong Bay with only 9 cabins and crew of 5-8 experienced staff. However, that does not mean quality of services provided by Bai Tu Long cruise does not match that of other cruises. 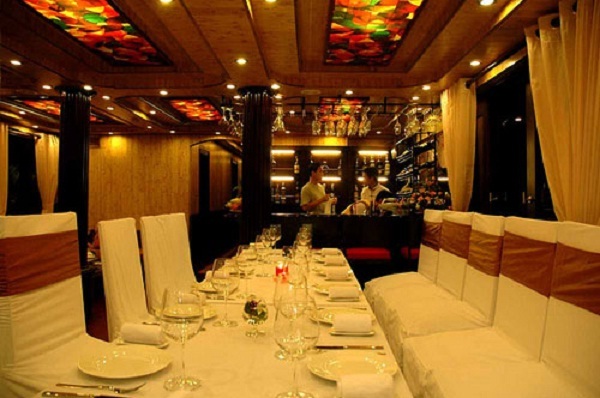 The restaurant is surrounded by large windows for you not to miss anything of the nature performance unfolding around you as the boat sails through the bay. It can host up to 15 people and meals can also be arranged to be taken outdoors. With its comfortable lounge chairs, fresh breeze and dazzling views, the Sundeck invite guests to lie back and relax. Featuring an impressive range of cocktails and an easy, relaxed ambiance, the Sunset Bar is a delightful place to socialize and watch the sun sink behind the bay’s myriad islands. 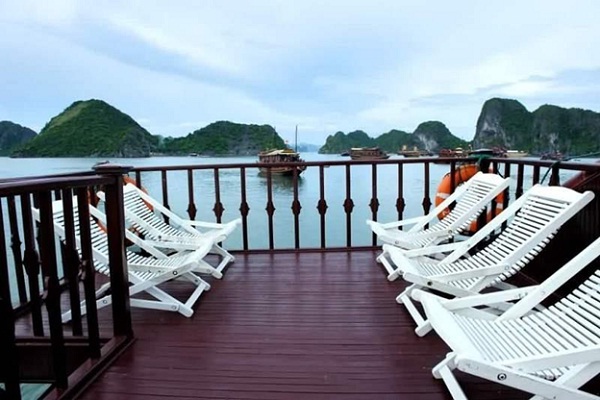 You can laze in the sun and enjoy a priceless 360°C view onto the beauties of Halong Bay. In addition, tourist should explore the bay’s uninhabited islands and sea caverns in our imported Canadian Seaward kayaks. Compared to other cruises at Halong Bay, Bai Tu Long Junk truly stands out with its special design inspired by traditional style of Chinese junk which dated back to 600 years ago. 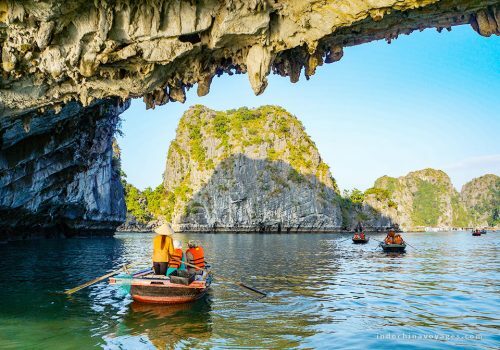 How to get to Halong Bay from Hanoi? 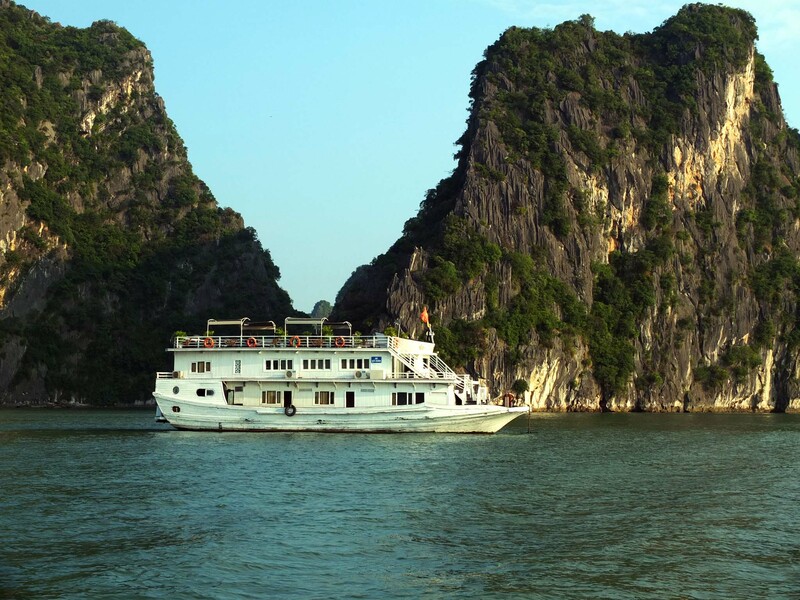 How to choose a good Halong Bay cruise?